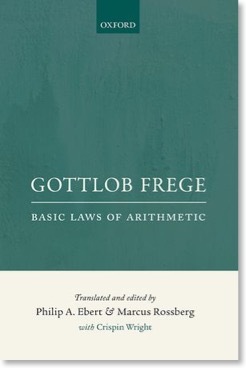 This website accompanies our new translation of Gottlob Frege’s Basic Laws of Arithmetic. Our translation is now available as paperback and hardback. You can find out more about Frege’s original work here. You can find out more about the team behind the translation project. We have also added a page collating reviews of the translations. We put LaTeX code of the six basic laws and other propositions online. In addition, you can download the source code the appendices of vol. I and II. You can also download all the packages required to write in Begriffsschrift using LaTeX. Please check back occasionally as we will provide additional content in the future.